A court case that could have had a devastating effect on public sector unions in Washington and nationally is dead — for now. 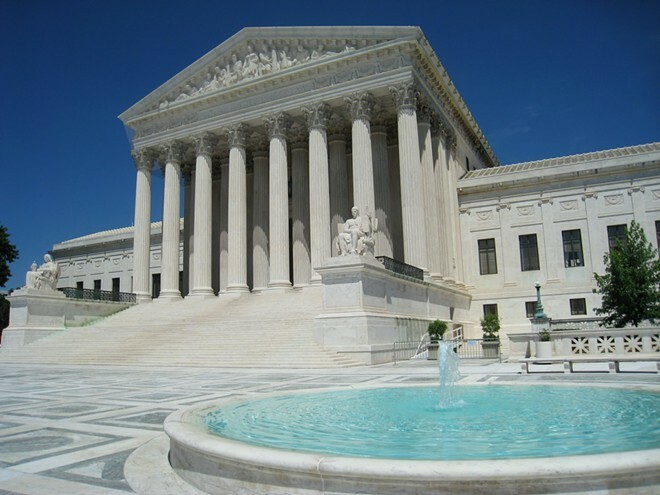 Earlier this week, the U.S. Supreme Court declined to rehear Friedrichs v. California Teachers Association. The case centered on Rebecca Friedrichs, a California teacher who objected to a state law requiring her to pay union fees for representation against her will. Washington has a similar law compelling public sector employees to pay into a union for representation. Organized labor has anxiously watched the case, which had the potential to diminish the financial viability and political power of public sector unions. The Freedom Foundation, a conservative think tank, has used a more limited court ruling, Harris v. Quinn, to chip away at SEIU affiliates in Washington. In March, the U.S. Supreme Court tied 4-4 on Friedrichs, allowing a lower court’s ruling in favor of the union to stand. In February, Justice Antonin Scalia suddenly died and there’s been a vacancy on the court since. Nelson notes that similar cases have been filed around the country and the issue will likely come up again.